The Style Sample | Cincinnati Photo & Brand Stylist | Halloween Costume Help! So, the Best Holiday Ever is coming this weekend, and I still have no idea what or who I want to be. I swear I had plenty of ideas back in June–what happened to them? I see a pattern here…maybe this year it’s Hammertime ? Any other suggestions? Help! You know, I probably DO have stuff for a Kiss costume! Now, where are my shiny leggings? 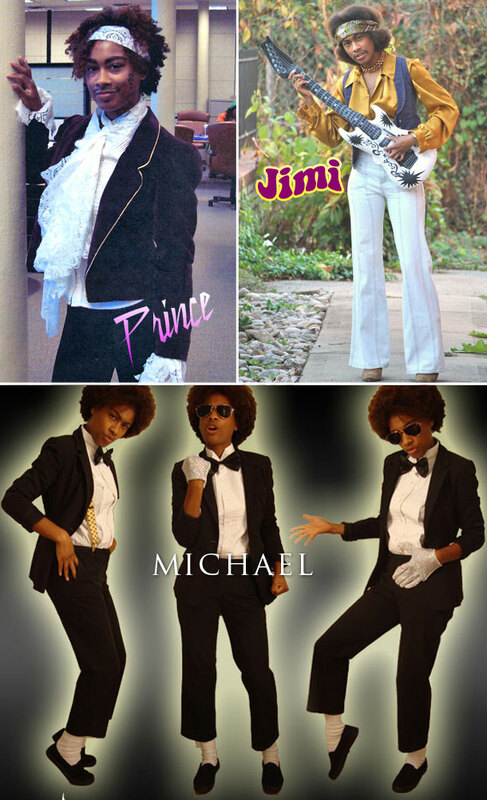 I LOVEEEE that you’re not afraid to pay homage to our male masters of music for Halloween. I vote yes for MC Hammer, mostly because I’m positive you’ve got the perfect get-up in your closet already! Or maybe Bootsy Collins? You have a great music theme going on, I like it. You can try someone from the 60’s?? Hahahhaha!! I LOVE the graphics of your “Michael Jackson” one! So awesome! I really shouldn’t be allowed in front of a camera in costume–I tend to get a l’il carried away. T–you never cease to amaze. These outfits are amaze. Hammer would be great–or Rev Run. Snoop? Or you could go Puff Daddy/Diddy/Sean Puffy Combs/Diddy Money style. Haha! Puff has/had so many names it’s almost impossible to know what to call him!